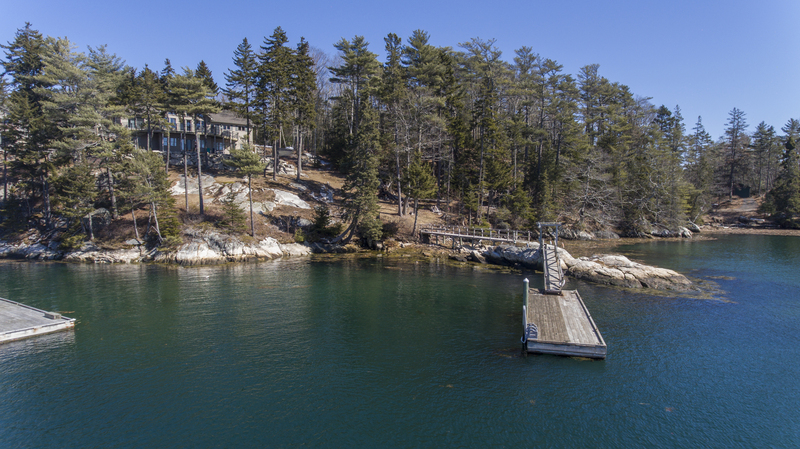 Immaculate boater’s paradise on Boothbay Harbor’s desirable McKown Point complete with deepwater dock and boat barn. Savor light-filled living with commanding views of Southport Island and breathtaking sunsets from this westerly-facing home. Watch boats come-and-go as they slip below the Southport Bridge and through Townsend Gut’s “No Wake Zone.” Living room boasts cathedral ceilings with gas fireplace and flows out into the wraparound deck. Enjoy the ease of entertaining with open kitchen and dining. Open kitchen features corian countertops, ceiling-height cabinets, dual sink, and Bosch gas-range. Master suite boasts magnificent water views with large marble tile shower, dual sinks and expansive closet. Lower level features two bedrooms with their own bath and open living space. Detached dual bay garage offers unfinished space above with the opportunity for extra guest quarters or additional income. Outside, you’ll find a shell terrace complete with fire pit and outdoor shower. To the south find the privacy of Thorpe Preserve. Slip across to Robinson’s Wharf & Tugs Pub for indoor & outdoor dining, fresh seafood and ice cream. 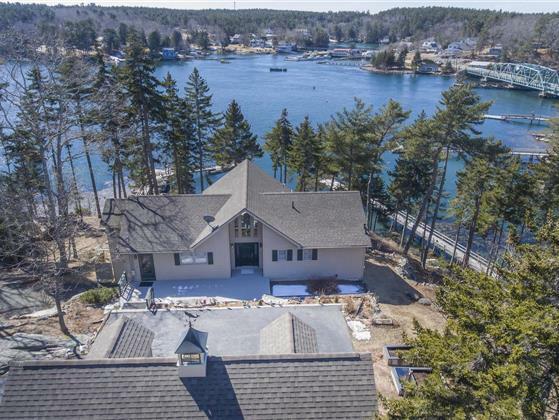 Just minutes to the open Atlantic and less than 10 minutes to Boothbay Harbor round Juniper Point.